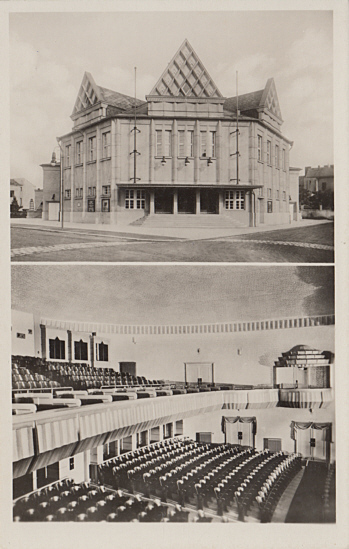 Built 1927-1928 as theatre and cinema "Licht- und Schauspielhaus" by Leo Kammel for the city of Jägerndorf. Also known as "Stadttheater". Opened 11 Nov 1928 with a prologue by mayor Andratschke and an opera by Franz Schubert (probably "Rosamunde"). Originally 800 seats, later: 1009 seats. 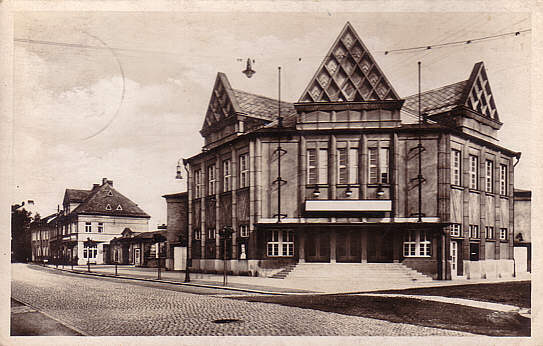 Reverse Text: "Jägerndorf, Licht- und Schauspielhaus"